[26 March 2018, Hong Kong] China Xinhua Education Group Limited (“China Xinhua Education” or the “Company”, together with its subsidiaries, the “Group”; stock code: 2779.HK), the largest private higher education provider in the Yangtze River Delta, as measured by the full time student enrollment of higher education programs as of December 31, 2016, is officially listed and commenced trading on the Main Board of The Stock Exchange of Hong Kong Limited ( “SEHK”) today. 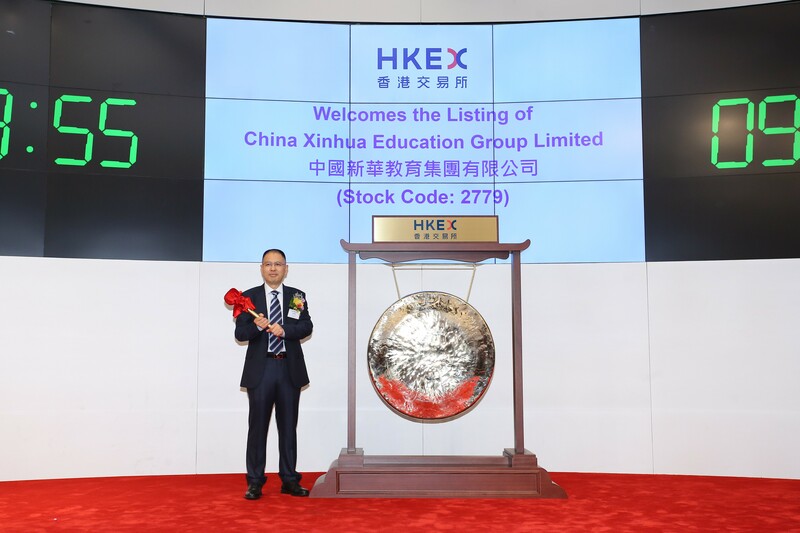 Mr. Wu Junbao, the Chairman of the Board and non-executive director of China Xinhua Education Group Limited, “The successful listing on the HKEX signifies the beginning of a new stage in the international capital market, and it marks an important milestone of the Company as well. We are honored to receive enthusiastic support from our investors. Looking forward, China Xinhua Education will adhere its fundamental educational mission of ‘to serve our country through education’, seeking to cultivate high quality talents with applicable skills, potential for future development and an ability and willingness to keep learning. We intend to expand our school network and increase our market share, as well as enhance our profitability by optimizing our pricing at our schools to further enhance our profitability, thereby creating fruitful value for shareholders. We are confident in the long-term development of the Group. China Xinhua Education Group Limited (stock code: 2779.HK) operated two schools, Xinhua University, which is a private formal university, and Xinhua School, which is a private secondary vocational school. According to Frost & Sullivan, the Group is the largest private higher education provider in the Yangtze River Delta, as measured by the full time student enrollment of its higher education programs as of December 31, 2016. According to Frost & Sullivan, Xinhua University is the largest private formal higher education institution in the Yangtze River Delta, as measured by its full time student enrollment as of December 31, 2016 and Xinhua School is the largest private specialized secondary school in Anhui Province in terms of student enrollment as of December 31, 2016. Xinhua Education’s fundamental educational mission is “to serve our country through education”(興教報國). The Group is committed to providing applied science education to students, seeking to cultivate high quality talents with applicable skills, potential for future development and an ability and willingness to keep learning.